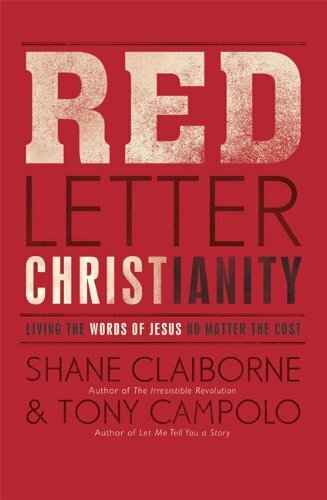 In RED LETTER CHRISTIANITY Shane Claiborne and Tony Campolo explore what it means to take seriously the words of Jesus. Both authors are known for their commitment to the lifestyle requisites of the Gospels, and their belief that real Christianity must inform the way we live...every day of our lives. RED LETTER CHRISTIANITY deals with the crucial questions facing followers of Jesus today, including global poverty and injustice, the growth of the church, issues of sexuality, the environment...and many more. Readers are invited to sit around the table with Shane and Tony as they discuss these issues together. 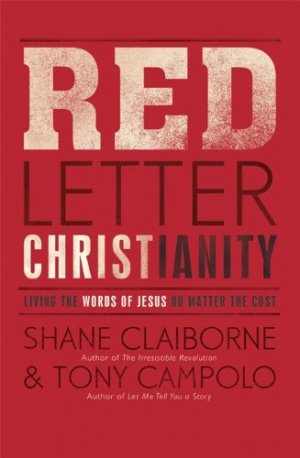 Red Letter Christianity by Shane Claiborne; Tony Campolo was published by Hodder & Stoughton in September 2013 and is our 14642nd best seller. The ISBN for Red Letter Christianity is 9781444745405. Be the first to review Red Letter Christianity! Got a question? No problem! Just click here to ask us about Red Letter Christianity.